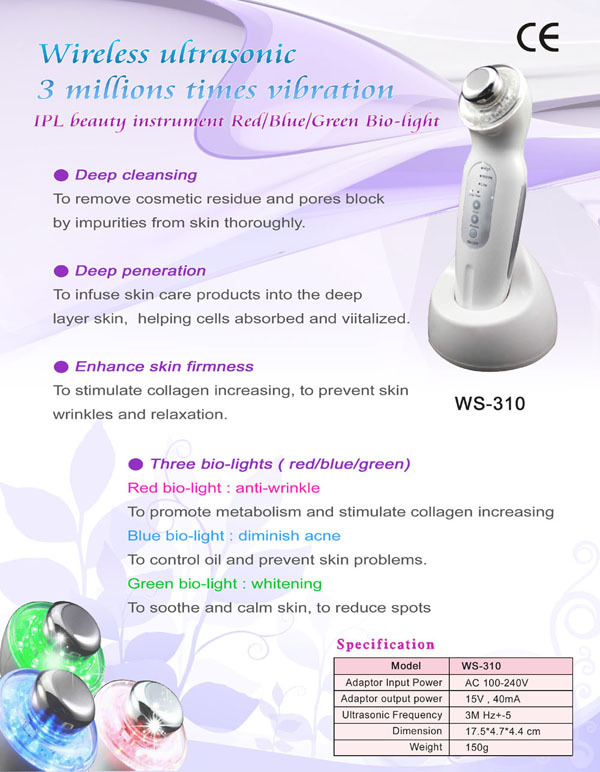 Taiwan Wireless Ultrasonic 3 Millions Times Vibration(WS-310) Beauty Machine, Skin Care, Beauty Equipments - Palifull Co., Ltd.
by impurities from skin thoroughly. layer skin, helping cells absorbed and viitalized. To control oil and prevent skin problems.